As Truman flew back that afternoon to Washington, the Security Council met and adopted, unanimously – the Soviet Ambassador being absent – the American resolution calling for the immediate cessation of hostilities and the withdrawal of the North Korean forces back to the 38th parallel. And by the time the President’s plane set down, Acheson had convened all the top national security officials at Blair House where, after what the unfailingly urbane Secretary recalled as an excellent dinner, the decision was made to send troops to push the Communist aggressors back into their own country. This “policing action” - the Korean War - would last two years, end deadlocked, cost millions of Korean their lives, and result in the deaths of 33,000 American soldiers. 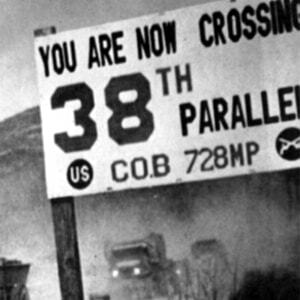 Some three weeks later, on July 18th, at Taejon, ninety miles south of Seoul, units of the Twenty-Fourth Division began their attempt to stave the onrush of North Korean troops. Perhaps that was why Truman, savoring a victory, wrote this laudatory statement, to commemorate Acheson’s decisive role in the War. Regarding June 24 and 25 - Your initiative in immediately calling the Security Council of the UN on Saturday night and notifying me was the key to what developed afterwards. Had you not acted promptly in that direction, we would have had to go into Korea alone. The meeting Sunday night at the Blair House was the result of your action Saturday and the results obtained show that you are a great Secretary of State and a diplomat. Your handling of the situation since has been superb. But the victory hoped for, prayed for, so seemingly at hand, did not take place. Taejon, after two days of ferocious fighting, was a cruel defeat. The American commander was captured; the shattered remnants of the Twenty-Fourth were forced to retreat. Truman later said that sending troops to fight in Korea was the most difficult decision of his presidency: Acheson, this handwritten memo attests, was the person who made that decision possible. Autograph Note Signed, as President, entitled “Memo to Dean Acheson”, 2 separate pages, octavo, The White House, Washington, July 19, 1950. To Secretary of State Dean Acheson. Regarding June 24 and 25 - Your initiative in immediately calling the Security Council of the UN on Saturday night and notifying me was the key to what developed afterwards. Had you not acted promptly in that direction, we would have had to go into Korea alone. was the result of your action Saturday night and the results obtained show that you are a great Secretary of State and a diplomat. Your handling of the situation since has been superb.